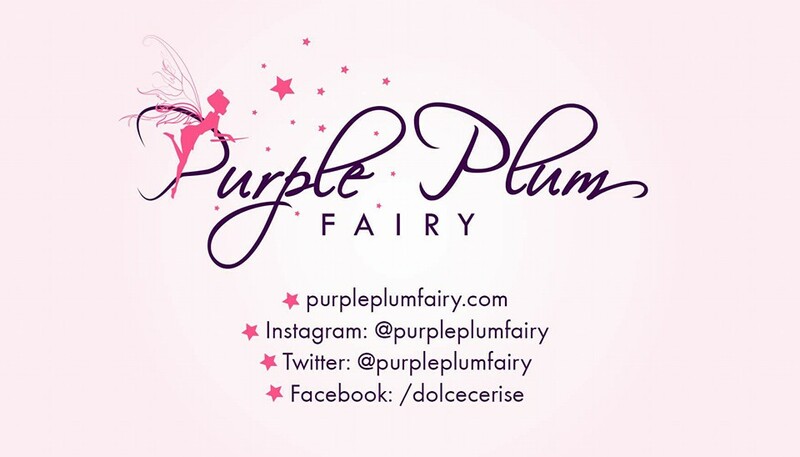 Purple Plum Fairy: Get your child into sports: Join the Milo Summer Sports Clinics 2016! 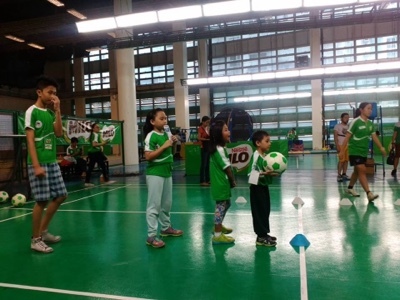 Get your child into sports: Join the Milo Summer Sports Clinics 2016! I could vividly recall how I used to mimic former champion gymnast turned Taekwondo jin and Olympian Bea Lucero as she made her stunts on a balancing beam as a young child in that popular Milo commercial during the early '80s. I'm a proud Milo Summer Clinic graduate myself. There was a time in my life when I dreamed of becoming an athlete. 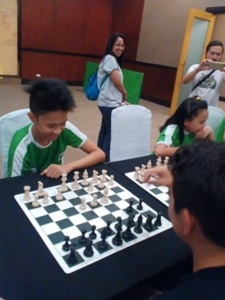 I dabbled into sports such as swimming, ice skating and I also took up karatedo by AAK (Association for Advancement of Karatedo) under the Milo Summer Sports Clinic Program. I used to get some LSS from that TV ad jingle, "Great things starts from small beginnings...growing up, reach early for your dreams...face the day, there's a new challenge...a chance to be better, a chance to become your dream. Growing up with Olympic energy, growing up with Milo, Milo everyday." Well, so much for reminiscing. Anyway, my nephew Kyle and I recently attended the Milo Summer Sports Clinic 2016 media launch held at the posh Alphaland City Club in Malugay, Makati City. 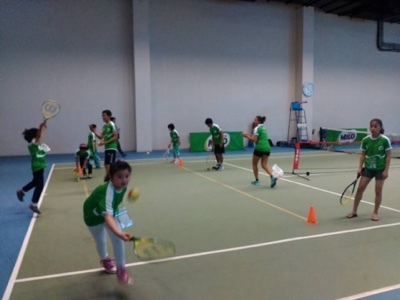 For those who aren't familiar wihat it is all about, MILO® Summer Sports Clinics is an annual program set up by MILO® to encourage school children to make the best of their summer by learning sports. The program began in 1983 by offering five sports clinics at first but eventually, due to numerous requests, the MILO® Summer Sports Clinics now has 17 sports programs that cater to each child's sports interests. 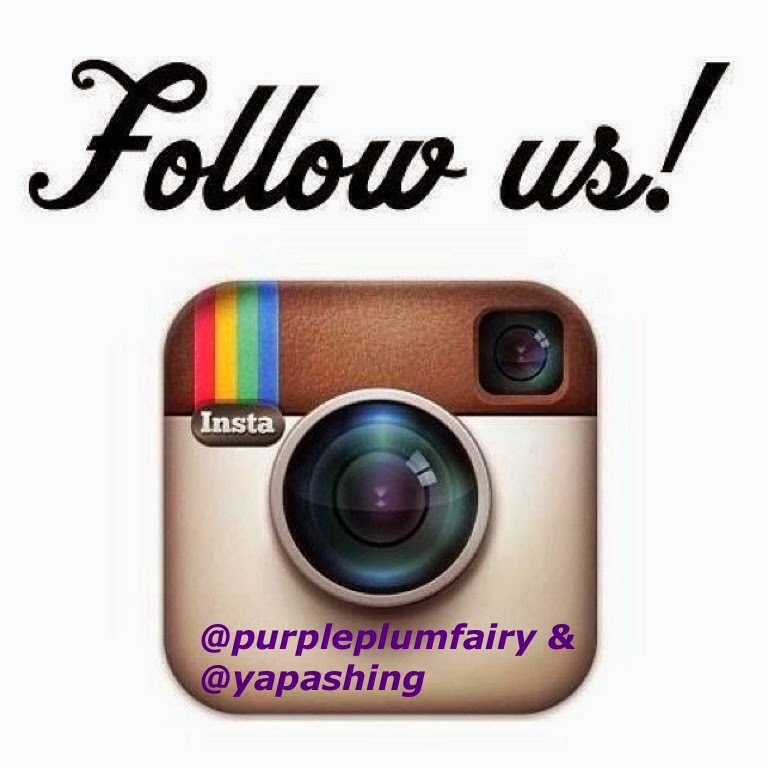 It also has an array of schedules and venues where parents and children can choose from. Training is handled by able and expert coaches and instructors who use the modern, scientific approach. They also incorporate character-forming lessons in their program. So children not only learn champion moves but champion values — determination, discipline, teamwork, perseverance, hard work, respect, and confidence — to help make them winners on and off the court. Kyle tries his hand in scientific-based basketball training at the Milo Summer Clinic launch. With a variety of choices, children can see which sport fits them best. See them grow as champions as they learn not just moves, but also values - such as hard work, respect, teamwork, discipline, and determination. With the program's expert coaches using modern and scientific approaches, children become champions not just in sports, but also in life. 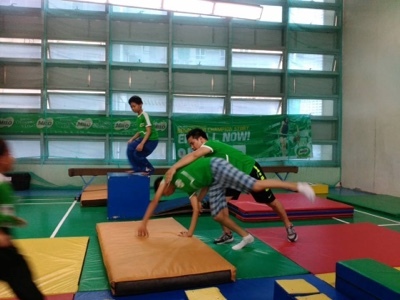 A kid participant did an assisted-handstand for gymnastic clinic. My nephew Kyle tries to do a cartwheel here with the help of thegymnastic coach. 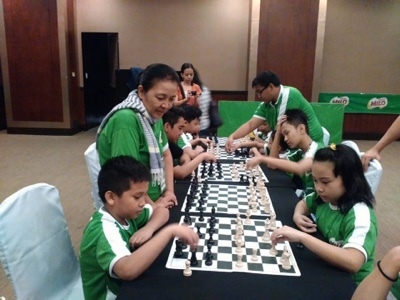 Kids had a lot of fun at the Chess area where they learned that chess develops focus and attention. Kyle had a mean game of chess here with another Milo participant. Volleyball is one of the sports we love doing during the summer vacation. Football has become a popular sport in the country, thanks to Philippine Azkals. 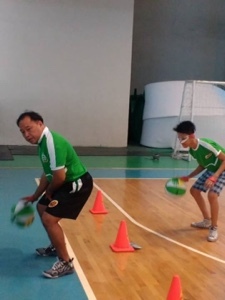 MILO® Summer Sports Clinics is a nationwide program held by various organizations to further promote grassroots sports development in the country. It's been proven that children who engages in sports not only develop physically and socially, but also improves character-forming values that will prepare them for life. 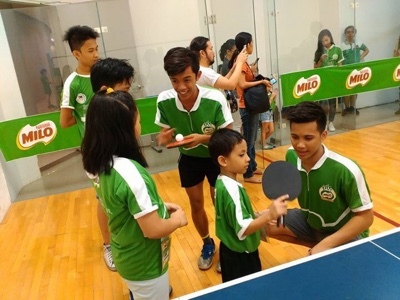 Table Tennis, popularly known as "pingpong" is also one of the sports being offered by Milo. Believe me, getting your child into sports may not make a champion out of him, but he will learn how to rely on nis strength and to stand up on his own. Lawn Tennis is also being offered in an indoor environment. 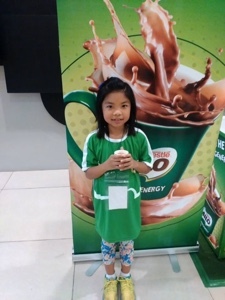 Popular athletes like basketball hunk siblings Kiefer and Thirdy Ravena, hard court heartthrob and TV host Chris Tiu and Ice Skating Prince and Winter Olympian Christian Martinez and Taekwondo jin and Milo ambassador Japoy Lizardo were all graduates and products of the MILO® Summer Sports Clinics. MILO® contains Activ-Go which is an energizing mix of Protomalt that countains high quality carbohydrates along with the necessary vitamins and minerals for growing kids. It fuels both the body and the brain for optimum energy. Discover the champion in your kids this summer by getting them into sports. For more information, visit their website at www.milo.com.ph. Milo's advocacy of helping children excel in sports has been around ever since I was a kid and I'm glad that they are keep going with what they've started.